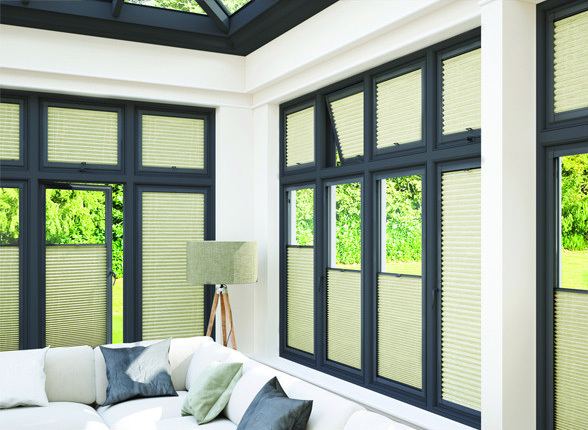 Liven up your windows with our exclusive made to measure blinds. Universal have been making and fitting pleated blinds for over 22 years, supplying homes and offices in and around the Milton Keynes area. 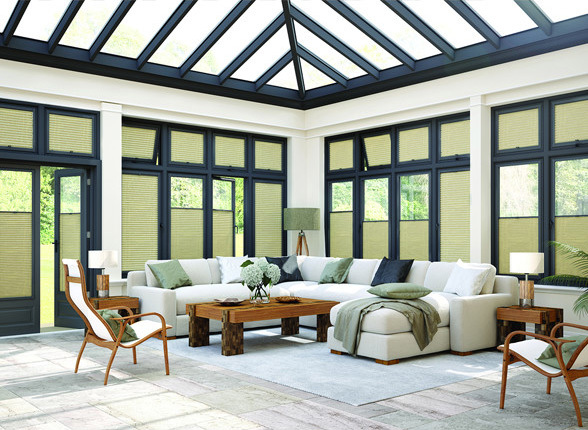 Available to fit into a variety of window and door systems, Universal selects only high quality materials when making its fabrics to ensure you get the ultimate performance from your blind. 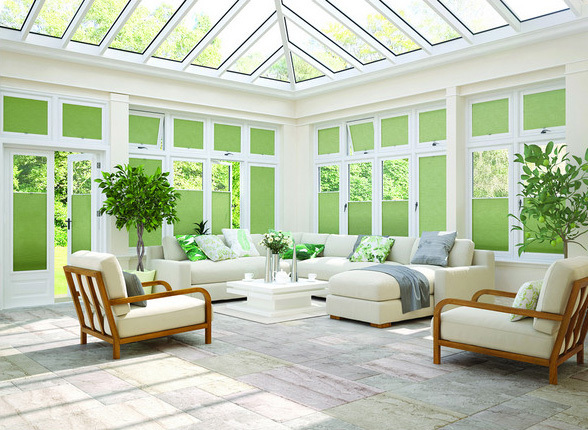 The ability to furnish awkward or difficult window shapes makes our pleated performance blinds a popular choice in conservatories to keep you cooler in summer and warmer in winter.